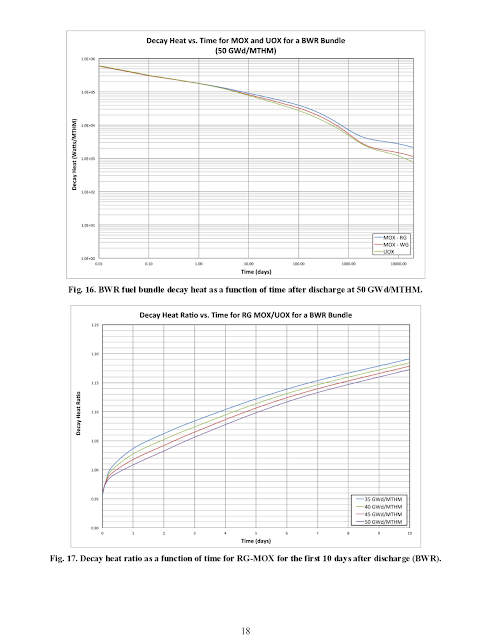 Nuke Pro: Decay Heat Calculations, Will Fukushima Heat Up The Pacific Ocean? 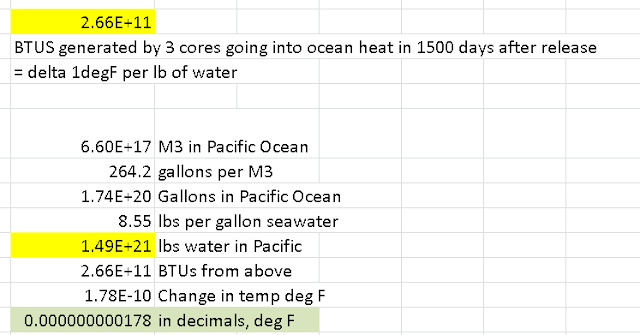 Decay Heat Calculations, Will Fukushima Heat Up The Pacific Ocean? PhilipUpNorth posed an interesting question on ENENEWS. 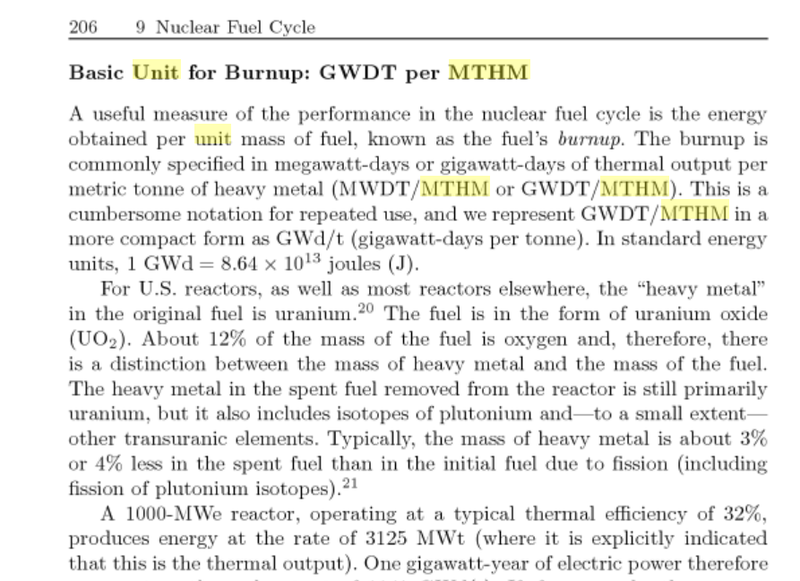 What is the decay heat for 3 reactor cores in BTU? I have pondered pondering this question. And today I endeavored to stop pondering and start contributing. 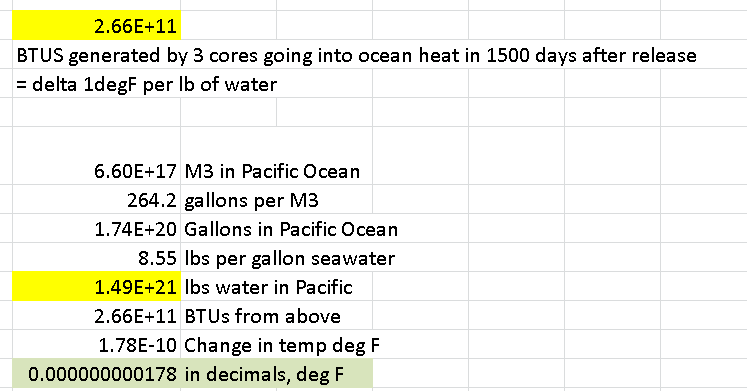 Then as an added bonus, I shall divy up those BTUs across the volume of the Pacific and I can tell you how much the Pacific would heat up if all of those BTUs went into the Pacific. OK Weighing in with the answer. Fukushima, no matter what reactor fuel or spent fuel may have got into the ocean , or transmitted it's decay heat into the ocean, will not matter a hill of beans in increasing the temperature of the ocean. 2) What if the radiation stays in the top 200 feet and over a limited portion of north hemisphere Pacific Ocean? Still almost nothing. 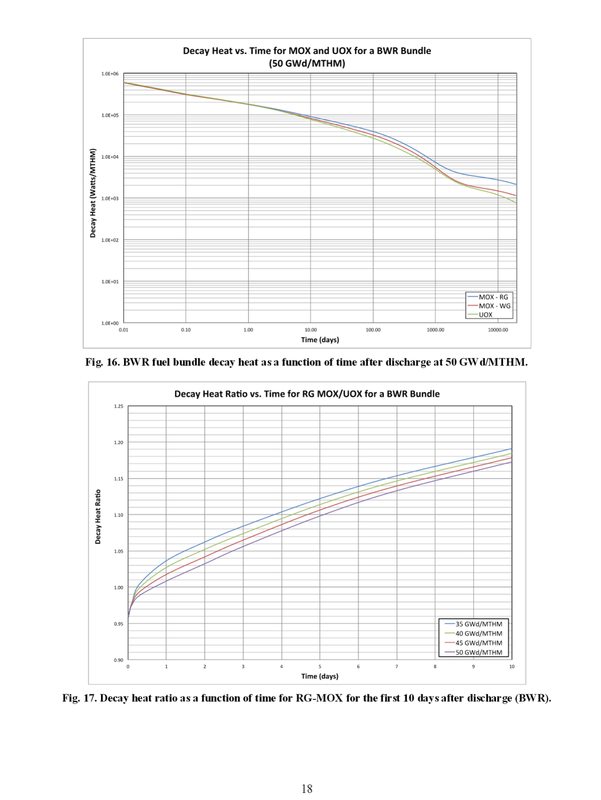 Want to dig further, check the results? Here is my spreadsheet. Did Fukushima heat up the USA? This chart indicates not any immediate effect in 2011, but there a very unusual spike up in USA temps in 2012, which could very well indicate a Fukushima impact. 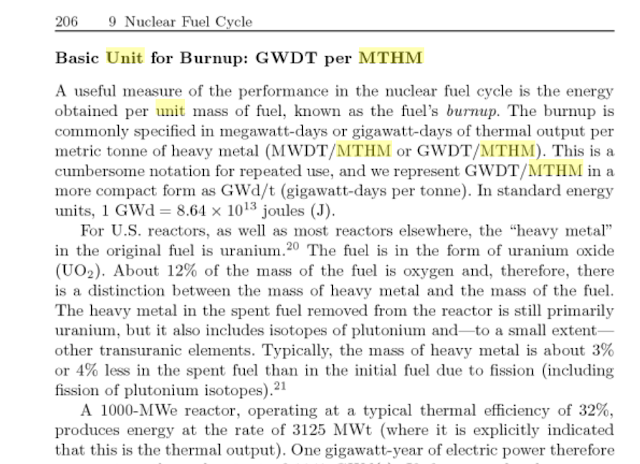 That is 3.78 standard deviations away from "normal"
Hint, Part of the fuel is Oxygen, roughly 12% by weight, so we need to multiply the gross weight of fuel by 0.88 to get weight of heavy metal. yes it is kind of a sick way to look at things.....but the only thing that can save us from long term nuclear, is another disaster to create a tipping point. What is your theory on that mechanism?